Carl Nielsen (born Sortelung, near Nørre Lyndelse on Funen, June 9, 1865; died Copenhagen, October 3, 1931) was a Danish composer. He is the most famous composer from Denmark and one of the most important composers of symphonies from the late 19th and early 20th centuries. 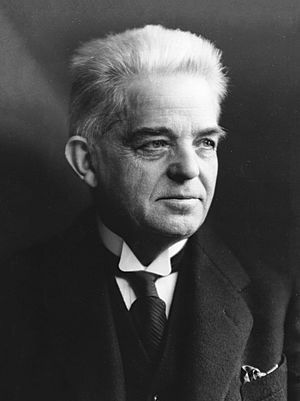 Carl Nielsen was the 7th in a family of 12 children. His father’s name was Niels Jørgensen. It was Danish tradition for a child to get his father’s first name as his surname, so Carl became Carl Nielsen (“son of Niels”). The family was very poor and Carl had to help in the home. During the school holidays he looked after the geese. His father, who was a simple painter, played the violin and cornet in the village band. Carl soon learned to play the violin and joined in with his father’s band. 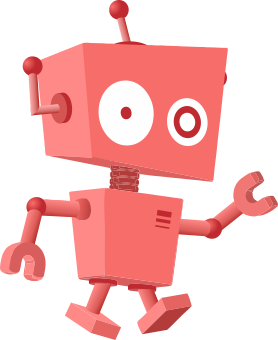 He listened to music by Haydn and Mozart and became very interested in general knowledge. All his life he tried to learn new languages and was interested in literature, art and philosophy. He loved animals and the nature around him. When he was 14, he had a job in the military orchestra in the nearby town of Odense. He played the horn and trombone. In 1884 some rich people in Odense paid for him to go to the Conservatory in Copenhagen. He studied music there and did quite well, but there was nothing yet to show that he would be a brilliant composer. He got a job as violinist in the Royal Chapel, a good orchestra which was conducted by Johan Svendsen. He got to know the music of Wagner, and he went to Germany to study it. Later he was not so keen on Wagner’s music, and he was not much influenced by it. In 1891, he married Anne Marie Brodersen who was a sculptress. They travelled together to Italy where they saw lots of great art. When they returned to Denmark Nielsen started composing some of the music that was to make him famous. In 1901 the Danish government paid him money every year so that he did not have to teach and could spend his time composing. He also conducted the Royal Theatre when Svendsen retired. He often travelled to other countries and, later, did some teaching and examining at the Copenhagen Conservatoire. He was made director of the conservatoire in 1931, shortly before he died. Nielsen suffered for several years from heart trouble. He died from this disease on October 3, 1931. Carl Nielsen wrote nearly every kind of music: opera, chamber music, symphony, concerto, songs. His music was different from the Romantic music that other composers were writing at that time. Nielsen liked the music of the Classical period, especially Haydn and Mozart. He learned from them, but also used a lot of chromaticism and interesting orchestral sounds which made his music much more modern. He wrote a serious opera called Saul og David and a comic opera Maskarade. He wrote a lot of Danish songs which are very popular in Denmark. By far the most important of his works internationally are his six symphonies and three concertos. The Fourth and Fifth Symphonies, especially, are performed very often by orchestras all over the world. He wrote a very large work for organ called Commotio. Nielsen always said how important his simple village background was for his music. This can be heard clearly in his popular cantata Fynsk Foraar (Springtime in Funen) which shows his love of the countryside where he grew up. Carl Nielsen Facts for Kids. Kiddle Encyclopedia.